Juvenile fish among bull kelp plants at Maude Reef kelp restoration site. R. Zielinski photo. A kelp forest is a type of nearshore vegetative habitat, found along rocky coasts with wave action or strong currents in depths of 4 to 20 metres. 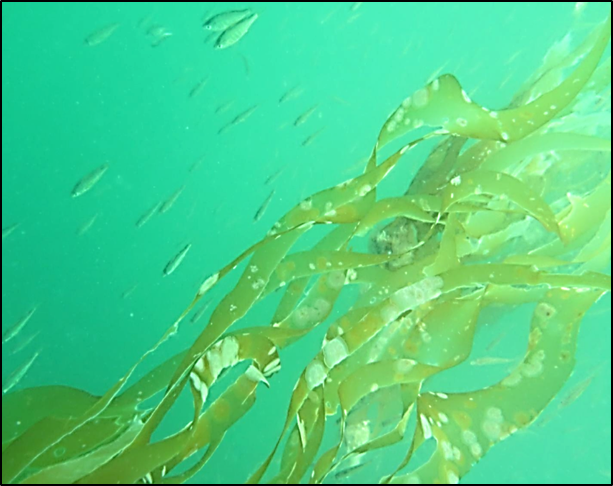 In the Salish Sea the bull kelp (Nereocystis luetkeana) forms a floating canopy layer, while the broad blade Laminarian kelp provides an understory layer, not readily visible from the water surface. These kelp forests provide refuge for juvenile salmon and associated feed organisms. Kelp forests are in noticeable decline in the Salish Sea in recent years. Water temperatures exceeding 18⁰C during summer months and intensive grazing pressure from sea urchins are believed to be the cause. 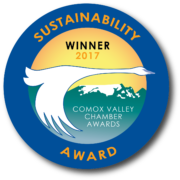 Comox Valley Project Watershed is focusing on the restoration of three marine habitats – kelp, eelgrass and saltmarsh – to facilitate connectivity between the subtidal, intertidal and foreshore zones in the estuary. 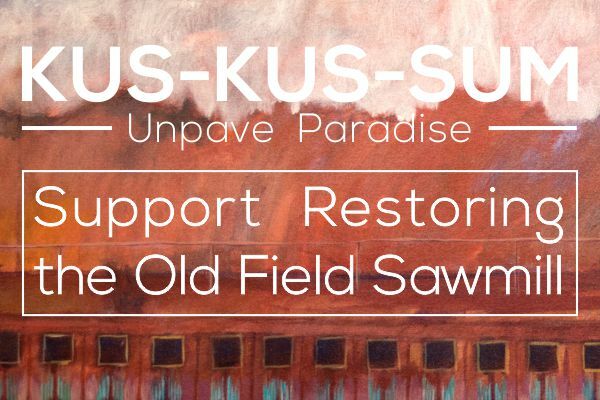 Striving to re-establish habitat connectivity is an important element of restoration design since human activity and alteration of the landscape has caused an increasingly fragmented habitat. 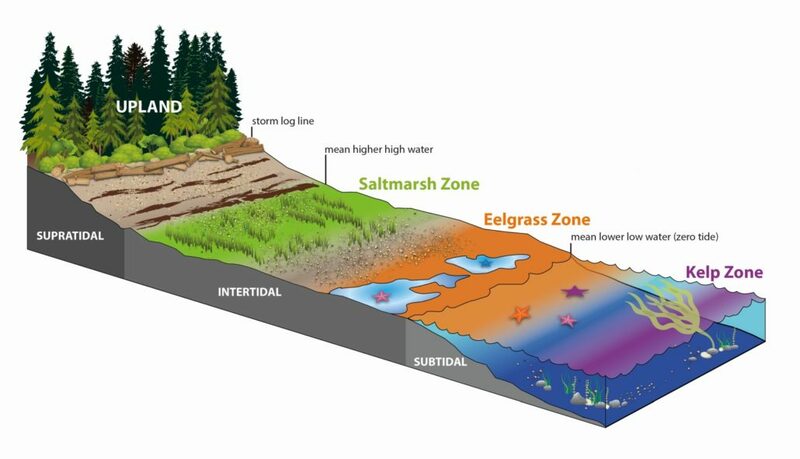 Many species rely on different coastal habitats to fulfil their life cycle. Migrating salmon depend on these habitats for foraging and protection from predators as they out-migrate to the ocean as juveniles, and then once again when they return to spawn as adults. Kelp, saltmarsh and eelgrass also provide crucial habitats for a variety of other fish, birds, mammals and invertebrates. 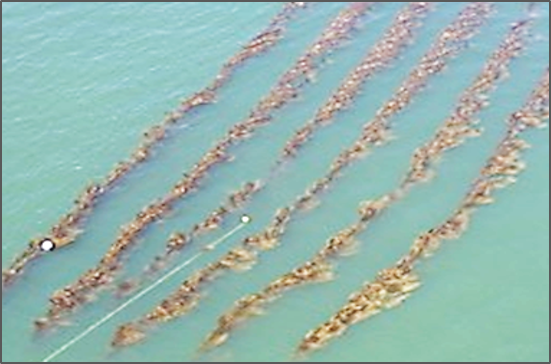 Overhead view of planted bull kelp lines at Maude Reef site, Hornby Island R. Zielinski photo. 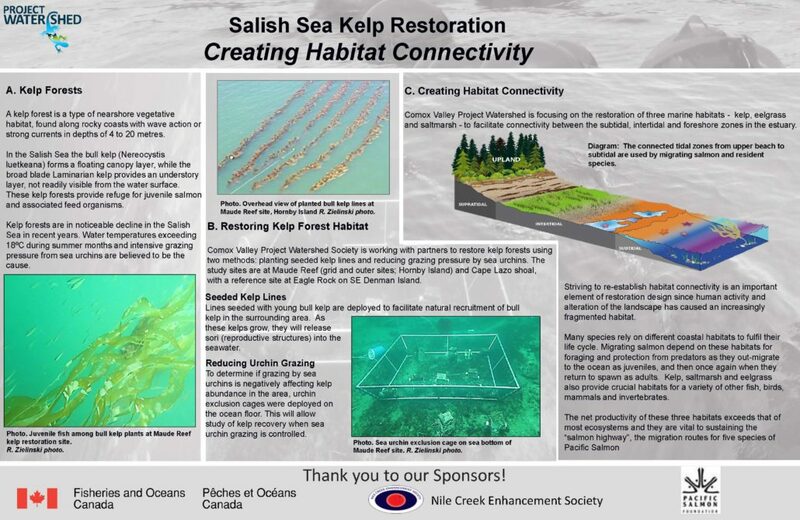 Comox Valley Project Watershed Society is working with partners to restore kelp forests using two methods: planting seeded kelp lines and reducing grazing pressure by sea urchins. The study sites are at Maude Reef (grid and outer sites; Hornby Island) and Cape Lazo shoal, with a reference site at Eagle Rock on SE Denman Island. 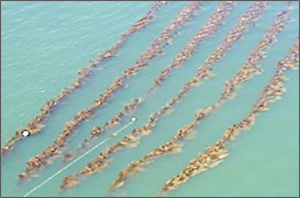 Lines seeded with young bull kelp are deployed to facilitate natural recruitment of bull kelp in the surrounding area. As these kelps grow, they will release sori (reproductive structures) into the seawater. 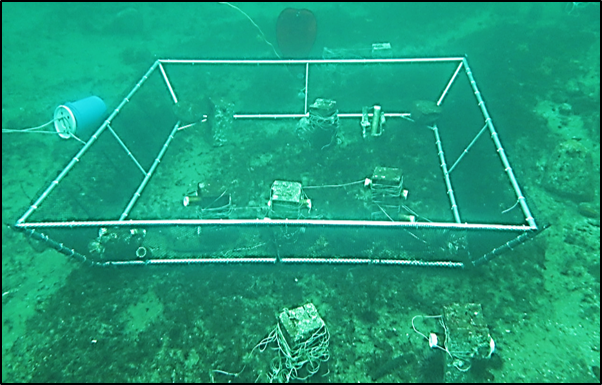 Sea urchin exclusion cage on sea bottom of Maude Reef site. R. Zielinski photo. 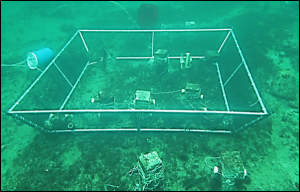 To determine if grazing by sea urchins is negatively affecting kelp abundance in the area, urchin exclusion cages were deployed on the ocean floor. This will allow study of kelp recovery when sea urchin grazing is controlled.